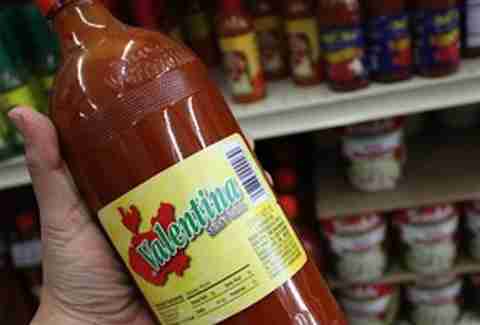 This dirty-Mexican-joint staple has been made in Guadalajara from a pure combo of peppers, vinegar, salt, spices, and water for over 40yrs, and has a viscosity that falls somewhere between Sriracha and Tabasco, making it a little more substantial than most taco-coutrements. The sour & sweet flavor profile is distinctive, and those heavy glass bottles are damn classy. Problem is, the heat factor sneaks up on you slowly the more you eat (or, for those with high Scoville tolerance, hardly at all), and that strong, citrusy tang can swiftly overpower other ingredients. Texas Pete first came about when customers at the Dixie Pig BBQ stand in Winston-Salem asked for a spicier sauce, and the DP owners started casually messing around with chili peppers. They were going to call the sauce "Mexican Pete", but the dad of the guy who ran the place said it should be American because they were American, so he started chanting "U-S-A! U-S-A!" 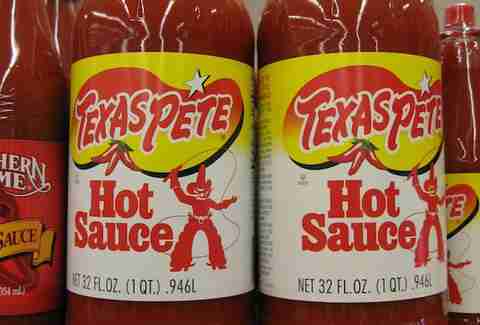 or something, and Texas Pete was born. And subsequently docked for NOT being from Texas and kind of just tasting like a slightly poorer, more watery imitation of the Louisiana-style hot sauces. Though, on the plus side, Big Boi does mention it in a rap about collard greens. The OG of this business! Tabasco has been around since Betty White was in her thirties (1868) and was originally made using discarded cologne bottles, so you got a tiny tang of Drakkar Noir as you dumped it out on your mashed potatoes. 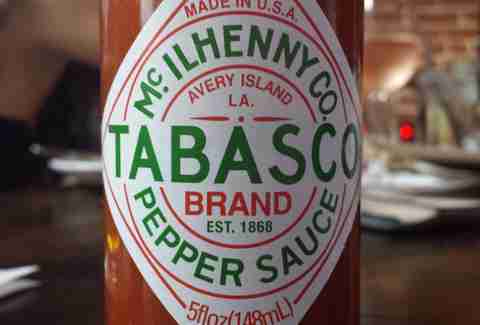 And, look, I have nothing against Tabasco, but it's not going any higher up the list because it really is more heat than taste -- sure, it makes things hotter, but Tabasco is very heavy on the vinegar side, and basically just tastes like hot vinegar, which would be a great band name. Also, they're one of 850 "official food suppliers to the Queen of England", something you know the dad from Dixie Pig BBQ isn't psyched about. "Tapatio" is a slang term for what people from Guadalajara are called (the founder is from that area), though I was just in Guadalajara and didn't see anyone use that term, or the sauce, even while I was eating tacos made with ant eggs. 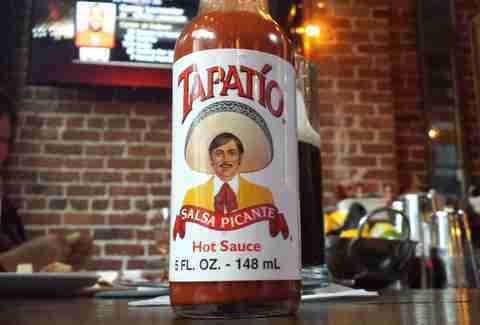 This one is more of a regional favorite -- people on the West Coast tend to favor Tapatio, and it has a slightly sweeter tang than most of the other hot sauces, which might be from the "spices" and "garlic" and "sodium benzoate" in the ingredients. Still, in terms of Mexican-style hot sauces, it plays a definite second-fiddle to a certain other one farther down this list, which doesn't even play a fiddle. 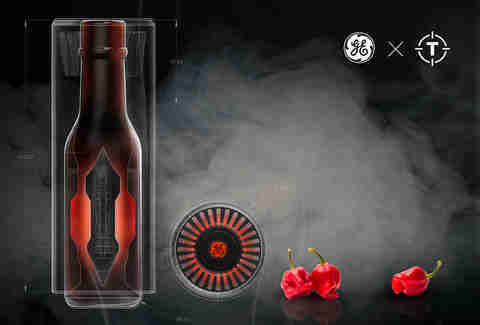 GE and Thrillist are teaming up on a… hot sauce? Seriously, GE and Thrillist are currently collaborating on a deliciously punishing, limited-edition recipe, which we’ll soon make available to the public. 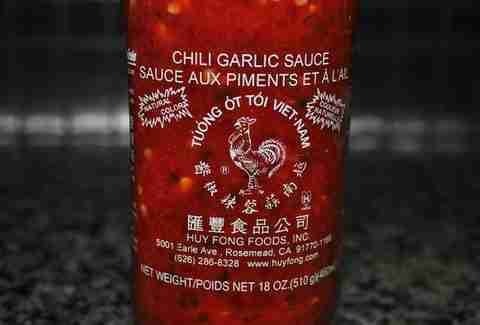 Click here to read about the most volcanic partnership in the history of condiments. They claim to be one of "the very first commercially available Cajun food products" and the "first hot sauce to use the state's name", and they make a large deal about having "ORIGINAL" in there, and, if you go on their website, you can hit the red dot on the bottle and it makes a satisfying dinging noise. 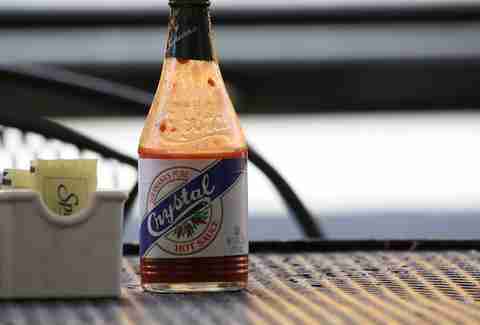 But Crystal claims to have been invented five years before in New Orleans, and is the number-one-selling Louisiana hot sauce, and just has a little extra tang this Louisiana stuff doesn't. You're still good, Louisiana, but maybe you need to realize that original doesn't necessarily equal best. The lesser of the two glorious David Tran-produced sauces on this list, chili garlic is still pretty damn delicious, but it loses points for being such a thick paste and not being squeezable. You're telling me I need to get a spoon to put this ish on my now-very-much-expired Wheatables? I'M NOT SOME RICH PERSON WHO JUST HAS "SPOONS" LYING AROUND! I discovered this by the gallon jug in my fraternity kitchen while I was pledging. And I proceeded to put it on every single thing our cook Dano made (no offense, Dano -- I still love your Thanksgiving wraps!!). 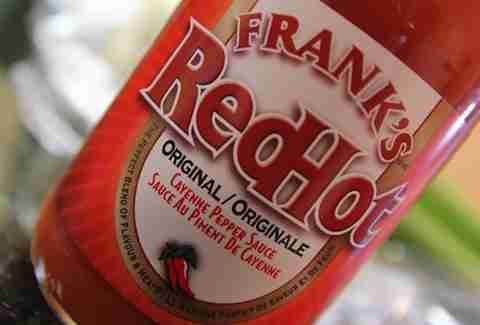 It also holds the illustrious title of being the main ingredient in the first buffalo wing sauce created in 1964 at the Anchor Bar and Grill in Buffalo. And that strength might also be its weakness -- everything really tastes like buffalo wings, which is a mighty fine problem to have in most cases, but leaves it stuck no higher than fourth-place. I'm weirdly biased towards Crystal hot sauce, potentially because the only people I know who're actually from Louisiana swear by it, and I want SO BADLY to be authentic. 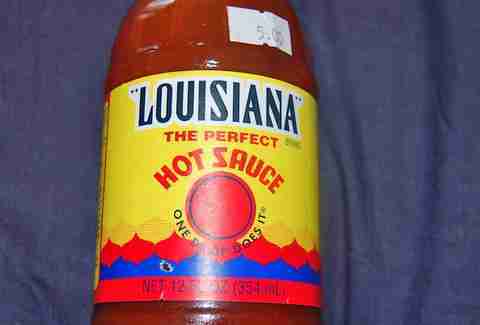 With that said, I push it above Louisiana in the state's hot sauce feud partially because of that aforementioned tanginess the other just doesn't have, and partially because every single person I've met from Louisiana puts it on everything, even stuff they don't eat, like magazines and their taxes. What do you get when you mix pequin and arbol peppers, salt, vinegar, "spices", and good ol' xanthan gum? 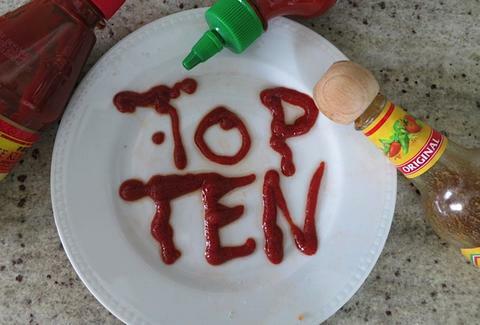 If you said "an ulcer", well, why are you even reading a top ten list of hot sauces!?!? 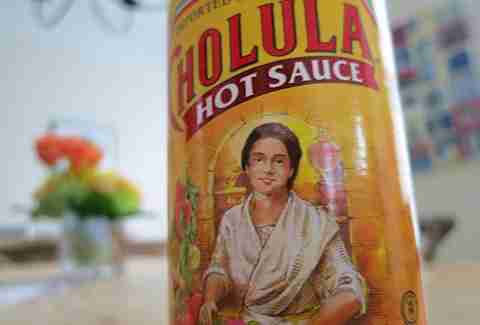 Of course I'm referring to good old 'lula, the iconic wooden-topped Mexican hot sauce with the very calm ladyfriend on the front. It's got a unique flavor from those pequins (apparently seven times hotter than a jalapeño! ), a definitive Mexican-ness you don't get from the Louisiana hot sauces, and it is known by the moniker the "Flavorful Fire", also what people in the MLS called the Chicago squad when they briefly signed Public Enemy. In the end, it wasn't close, friends. 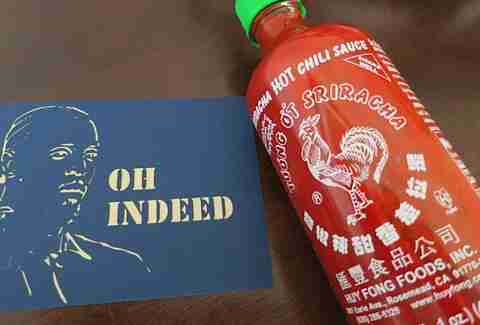 But this isn't a general love letter to run-of-the-mill Sriracha. It has to be the rooster. I've had three other kinds in the past week (journalism! ), and none of them stand up to the alarmingly red, garlicky, love-fire that you can put on everything. I literally just put it on a banana to test that theory, and I now only want to eat Sriracha bananas. It's changing the world. Pretty soon, all the TED talks will exclusively feature Sriracha. And maybe, like, ingenuity and elegance in ancient African alphabets, or something.